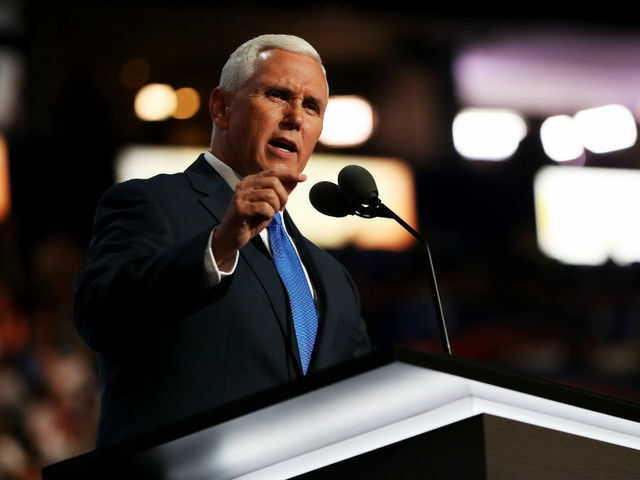 Republican vice presidential candidate Gov.Mike Pence, R-Ind., addresses supporters during a campaign event in Carson City, Nev., Monday, Aug, 1, 2016. (AP Photo/Lance Iversen)INDIANAPOLIS Ind. INDIANAPOLIS — Gov.Mike Pence filed federal financial disclosure forms Thursday listing his salary as governor as his only significant source of income.Unlike his running mate, Donald Trump – whose financial disclosure included multiple pages of income sources from the many companies he either owns or plays a role in – Pence’s form listed his only major income source as $173,860 he made as governor in 2015 and 2016 to-date (his annual salary as governor is $111,077).